Have you heard of the new organizing craze? Do you see the phrase “spark joy” everywhere and wonder what it means? Let me fill you in. There is a 34-year old woman named Marie Kondo who is the latest organization guru. She has written several bestselling books and now has a hit TV show on Netflix. The concept is to go through all your belongings and only keep the things that truly spark joy. If you want to know more, I suggest reading her book. 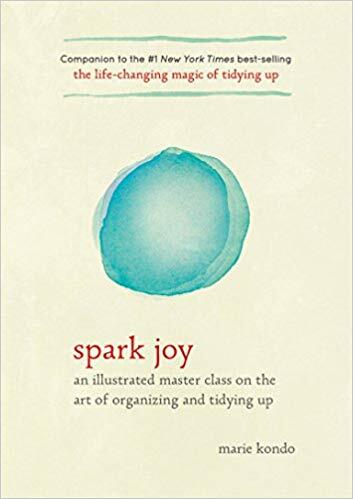 Amazon has her book “Spark Joy” on sale now. ‘Spark Joy’ was originally $18.99, but you can get it today for only $12.88. Buy it now to see what everyone is talking about.